The UK government is facing a backlash for sneaking through a “death tax” that could see grieving Brits having to fork out up to £6,000. Probate – legally securing a deceased relatives’ estate – will cost significantly more from April. Roughly 2,800 families a year will face increased charges, with 56,000 of them having to pay between £2,500 and £6,000. Estates worth more than £2m will cost families the full £6,000 to secure. Those worth less than £50,000 will be exempt from any fee – but this is 10 times the current threshold of £5,000. The ‘death tax’ hike is expected to bring Ministry of Justice an extra £185m a year by 2022/23. Ministers have been accused of classifying the increase as a fee rather than a tax to avoid parliamentary scrutiny. Tax rises are usually introduced in parliamentary bills, and go through a process of examination and debate before being voted on by both the House of Commons and the Lords. However, because it was classified as a fee, the probate increase was able to be passed with a simple change to legislation called a statutory instrument. The legislation committee approved the change by a vote of nine to eight on Thursday. John O’Connell, chief executive of the TaxPayers’ Alliance said: “We condemn this proposed stealth tax on grieving families. 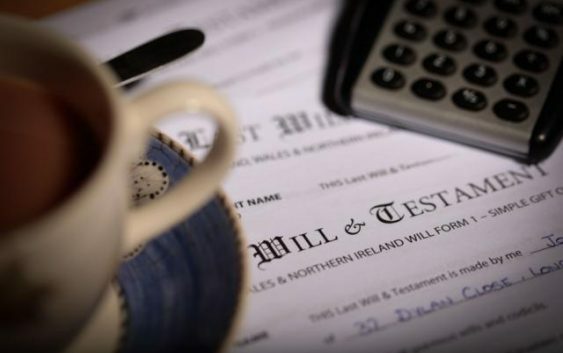 “It’s hard enough to deal with loss of a loved one without the government stepping in and taking away so much through inheritance tax and now this proposed increase to probate charges.